Messages are sent question by question and grouped into a survey. If Survicate recognizes respondents’ identity, you will be able to see who’s behind the answer. You can easily navigate straight to your survey results or that particular person’s profile with attached buttons. 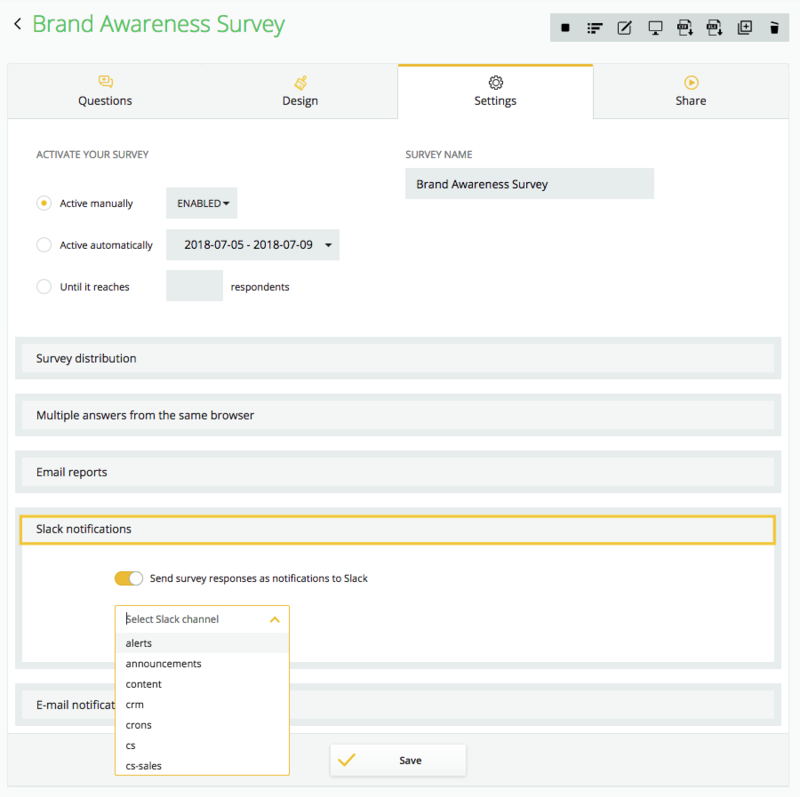 ❗️Keep in mind that you can connect multiple surveys to one channel, but responses from a survey can go to only one channel at a time! ✅ It's on! 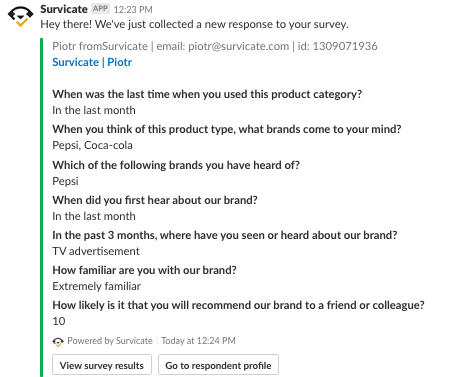 Now you can add your survey responses as Slack messages! Just go to your Survey settings > Slack notifications, pick a channel you want to send your responses to and Save a survey. Remember to have the toggle on! That's all! Now every survey response will be automatically passed to Slack. 📞 If you have any questions, please give us a shout!